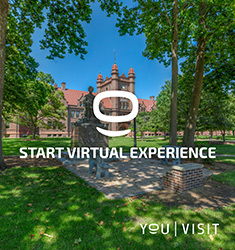 Apply to Millikin as an international student for our undergraduate degree programs, graduate degree programs, and Intensive English Language Program. To be considered for admission to Millikin, your application and ALL supporting documents must be received by the Application Deadline Schedule. Special Immersion and Summer Admission = Please contact the International Office. For additional details about the required criteria click on the Admission Criteria tab above. Your application must be supported by official academic credentials. These include mark sheets, grade reports, or transcripts of all secondary and post-secondary work you completed. Documents must be original, bearing the official seal of the institution and the signature of the registrar, or designated official, or each photocopy submitted must bear an original certification and original ink signature of the registrar or designated official. If the original academic document is not recorded in English, it must be accompanied by a certified English translation that is a literal and complete interpretation of the original document. Two (2) letters of recommendation, either in English or with an English translation, with your Application for Admission. One letter should be from your guidance counselor or headmaster and one from a teacher who knows you well. A one-page statement that describes your educational background, plans and objectives at Millikin, and your career goals must be submitted with the Application for Admission. Certificate of Finances must be completed before the Certificate of Eligibility (Form I-20) is issued. The University is required by immigration authorities to carefully check financial resources of each student prior to issuing Form I-20. Know the costs of attending the University and have the necessary support funds for the entire period of enrollment. List the total amount of funds available to the student for each year. All questions on the financial statement must be accurately answered to avoid unnecessary delay in processing. If receiving a scholarship, grant or loan, you must submit a signed copy of the award letter or signed affidavit from an authorized person, indicating degree objective and the amount and duration of the funding. Regardless of citizenship, applicants whose first language is not English must generally take one of the following exams and achieve the indicated scores in order to demonstrate English proficiency. During the admission process, we assess your English language level, and recommend the best pathway to your preferred degree. The Millikin University English Language Center (ELC) was designed for students whose English language skills need improvement. 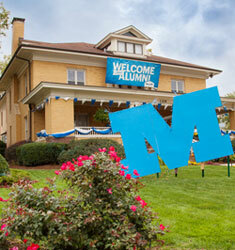 It is a 4-level transition program that prepares international students for programs at Millikin University. All ELC students have been conditionally admitted to Millikin. Please use the checklist below to review items you will need to complete your application packet. Scholarships: If you already have confirmation that you will be getting a scholarship, please attach official documentation from your funding organization, including duration of scholarship, expenses covered by scholarship (e.g., tuition fees, room and board…) and details of any restrictions on study. We check to ensure that your Application form and supporting documents are complete and contact you with any questions. You will receive an email to confirm we have received your application. We assess your English language level and recommend the best pathway to your preferred degree. 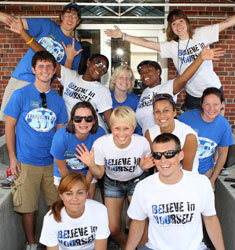 The Millikin Office of Admission will review your academic qualifications. Academic-based scholarships are awarded in the amounts of $2,500 - $25,000 per year. 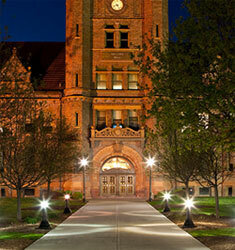 Applicants are considered automatically upon acceptance to Millikin University. If your application is approved for admission to the University, we will send you a formal University Acceptance Letter within approximately three weeks. You must pay a $500 deposit (refundable if your Visa is denied) to confirm your acceptance. You must send a CONFIRMATION OF FINANCIAL RESOURCES. International applicants must submit a Confirmation of Financial Resources form (sample financial statement) in the amount indicated on your acceptance letter, which is an estimate of the annual tuition, educational and living expenses for an academic year. We will accept an original government or company letter of sponsorship in lieu of the Confirmation of Financial Resources. We will release your I-20 Immigration document. You then need to apply for a Student Visa. One month before the start of the semester, you must pay your remaining fees (either in full or your first installment). Before your program starts, we will ask you to complete pre-arrival documents (medical, flight details etc). 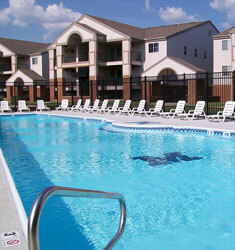 When you arrive in the U.S., you will be met at the airport and taken to Millikin University. All students auditioning for Musical Theatre will also be considered for the BFA Acting program. Specific guidelines detailing pre-screen requirements may be found on the Millikin University GetAcceptd page. Please feel free to send an email to international@millikin.edu or call us at +1.217.424.6340 if you need any help or if you have questions.